Two Glazed Chicken Quarter On The Hot BBQ Charcoal Flaming Grill Close-up. Today we are happy to have Monica Henin from Addonkitchen as our guest blogger. Having an in-house grill is always great because it allows a person to cook scrumptious food at will. 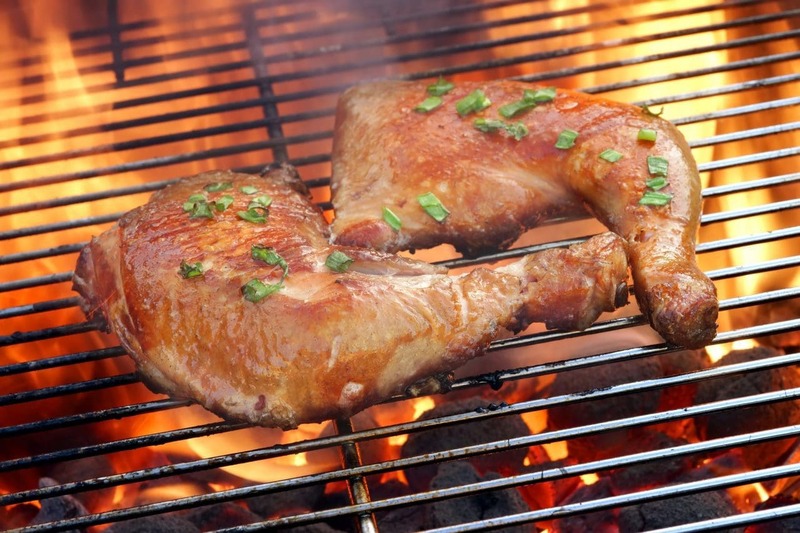 Moreover, grilling is fun, especially for those who have an immense love for cooking. Placing a juicy piece of meat on the grill and brushing some oil all over the meat gives the feeling that something nice is going to get ready in a few minutes. But, grilling is not that easy, so one shouldn’t just start grilling game meats because a small mistake made while cooking the food can ruin it all. A person who is just making his/her way into the world of grilling should begin with chicken or shrimps, as these are easy to grill and will help build the confidence for the future. Today we will be discussing two grilling recipes, which are quite easy to prepare and doesn’t take much time as well. Let us start with the first one. The first recipe that I’ve selected is ‘Honey Mustard Grilled Chicken’. If you love the taste of mustard, then this recipe will definitely make your mouth filled with water. Preheat the grill on medium heat. I hope you have bought a branded grill such as Traeger Renegade, as it ensures uniform and safe cooking. You can check more about this brand by going through Traeger Renegade Elite reviews. Take a large bowl now and add mayonnaise, honey, steak sauce and mustard. Mix all the ingredients well, and you will get the honey mustard sauce. Save some sauce for basting and use the remaining for marinating the chicken. Dip chicken pieces into the honey mustard sauce. Make sure that each and every corner of the chicken is coated in the sauce. Brush some oil on the grill grate followed by placing the chicken pieces on the grill, but make sure that no direct heat is given to the chicken. Cook the chicken in the indirect heat for 18-20 minutes and keep flipping the sides occasionally. Use the reserved sauce to baste the chicken in the last 10 minutes of cooking. Keep a close eye on the grill because you don’t want chicken getting burnt. That was all about ‘Honey Mustard Grilled Chicken’, so let’s discuss the second recipe, which involves shrimp! The name of the recipe is ‘Grilled Shrimp Scampi’ and it is great for those who love the flavors of garlic, lemon, and parsley. You can use this dish as an appetizer or main dish. This dish is light on the stomach, but will definitely excite your taste buds. You can replace shrimps with scallops if you want, but let’s just discuss the one with shrimps. Take a large bowl and add garlic, lemon juice, black pepper, lemon juice and parsley. Mix all the ingredients well and then, add crushed red pepper on top of the mix. Add shrimps to the mixture and make sure that the shrimps are properly immersed in the mixture. Marinate the mixture in the refrigerator for half an hour. Now, it’s time to preheat grill on high heat. Take skewers and thread shrimp onto those. You will have to pierce each shrimp once near the head and once near the tail. Brush the grill grate with some oil and place the skewers on the grill. Grill each side for 2-3 minutes and then, flip the side over. The shrimp will become opaque when fully cooked. 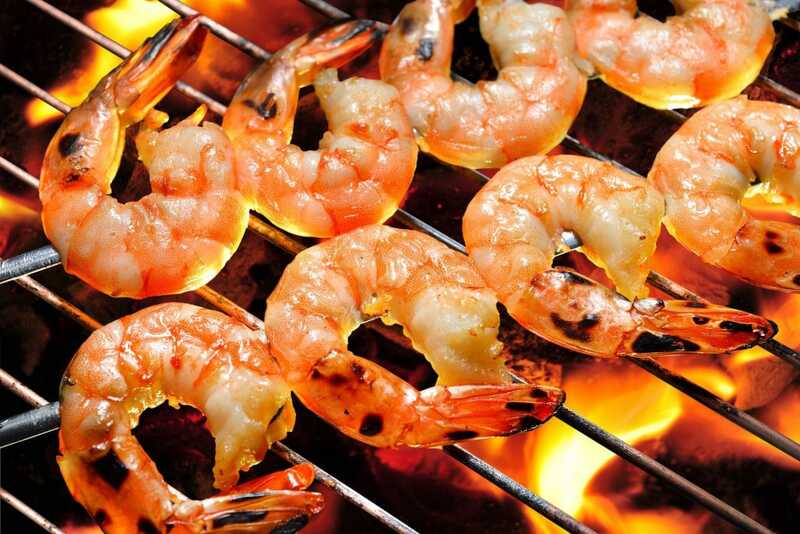 You can now enjoy grilled shrimp with mayonnaise. The taste will be simply amazing, plus it is not bad for your health, so you don’t have to restrain yourself from eating this super-delicious dish. Author Bio: Monica Henin is the author of this blog post. She is an expert in the field of cooking, especially when it comes to providing cooking tips. She also writes on healthy recipes because she wants her readers not to eat just delicious food, but healthy food as well. Find more about her work on Addonkitchen.com. These look and sound delicious, thank you for sharing . Will try! I am going to make them too! Blessings my friend!